Policies regarding Academic Good Standing, Attendance, Grievance Procedure - Academic Standards, and Honors can be found in the catalog under the Academic Regulations section. Instructions on how to enroll at EAC for the first time can be found in the catalog under the Enrollment section. Links to Records and Registration Office forms and other helpful forms are available in Online Submission and Adobe Acrobat (printable) versions here. Information on degrees, electives, catalogs and honors can be found in the catalog under the Graduation section. Information on the Family Educational Rights and Privacy Act (FERPA) can be found in the catalog under the Disclosures section. Information on Residency and Tuition status can be found in the catalog under the Enrollment section. Official or unofficial transcripts may be ordered from your Gila Hank Online account to be picked up or delivered by mail. If you cannot log into your account please call 928-428-8270. Electronic delivery of transcripts can be requested from the National Student Clearinghouse. 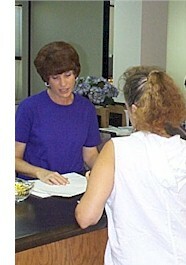 A paper Transfer Request Form can be printed, filled and mailed. Transcript policies and procedures can be found in the catalog under the Academic Regulations section. Application for Transcript Certification of the Arizona General Education Curriculum can be found here. (PDF) files may be viewed on screen and printed, allowing for completion and mail-in submission. Forms that require a signature to be valid are offered here in this format but cannot be submitted online. Click the icon below to obtain the Adobe Acrobat plug-in.